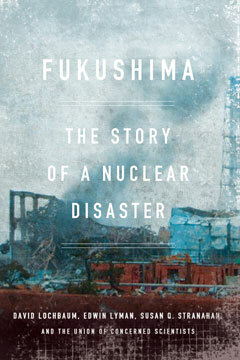 In the first definitive account of the Fukushima disaster, two leading experts from the Union of Concerned Scientists, David Lochbaum and Edwin Lyman, team up with journalist Susan Q. Stranahan, the lead reporter of the Philadelphia Inquirer’s Pulitzer Prize–winning coverage of the Three Mile Island accident, to tell this harrowing story. Fukushima combines a fast-paced, riveting account of the tsunami and the nuclear emergency it created with an explanation of the science and technology behind the meltdown as it unfolded in real time. Bolstered by photographs, explanatory diagrams, and a comprehensive glossary, the narrative also extends to other severe nuclear accidents to address both the terrifying question of whether it could happen here and how such a crisis can be averted. Susan Stranahan talks about the book Fukushima: The Story of a Nuclear Disaster in an interview on C-Span.